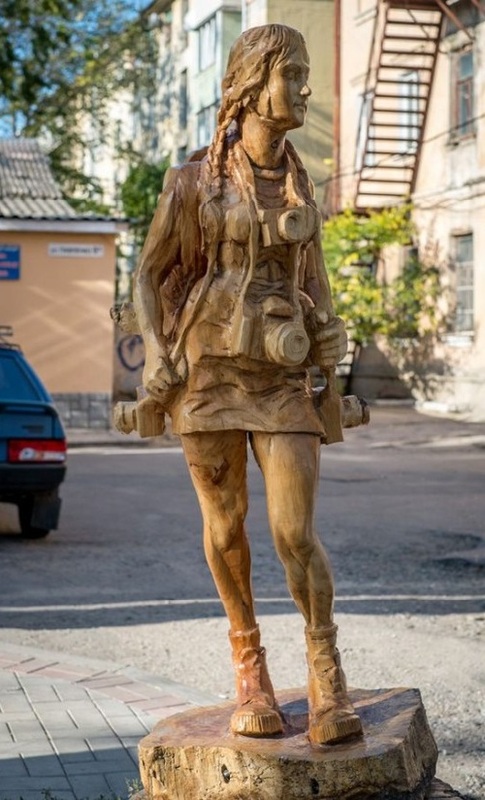 Crimean self-taught artist wood carver Igor Dzheknovarov adorns his native city – Simferopol with statues of people, gods and angels, which he cuts from the dry trees. The master woodcarver admits that he stopped counting his art pieces after the first three dozens of sculptures. The tallest of them reaches 5 m, and there is a composition of 10-12 wooden pieces. Popularity came to Dzheknovarov not immediately, because for more than six years instead of old dry trees appeared statues in different parts of the city, as anonymous. During this time, the city has changed beyond recognition, many wonderful wooden sculptures do not leave anyone indifferent. Interest in the mysterious master increased after the public have learnt about the creator of these beautiful works of art – Simferopol wood carver Igor Dzheknovarov.